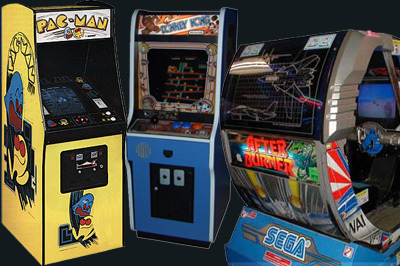 Video gaming (though not computer gaming) begins and ends with the arcade. For many of us the arcades are the temples of our youth (notice there is no miss-spent in front of youth there). What separates the arcades form home gaming is that your skill is on public display. The arcade provided a gladiatorial arena in which we could prove ourselves. Of course that too is where the downside lies because there's nothing more intimidating than a crowd forming around you while you play raising the cost of failure to public humiliation. Many of us dreamed of having our own arcade machine as a child (I know I always wanted an Atari Star Wars machine). Well now with the wonder of emulation you can! There are even companies who'll put a PC running MAME in the arcade cabinet of your choice to give you the ultimate experience. MAME - What can you say about MAME that hasn't already been said? I can't think of anything so I'll just say it all again. MAME (Multiple Arcade Machine Emulator) is more than just an emulator it's an institution. It's available for all sorts of different platforms from the PC to the Dreamcast and can emulate well over a thousand arcade games. ROMS can be tricky to find but luckily MAME demands that the zip file containing each game has a unique 8 character name so searching for this in Google will often turn up trumps, if not try torrent. Caesar - Detailed arcade emulation reference. Cinemarcade - Arcade movies and more.